Danielle is the Senior Vice President / Consumer Banking Market Manager responsible for driving revenue for 22 banking centers in the Eastern Pennsylvania & New Jersey market. Prior to working for Bank of America, Danielle spent 10 years with Santander (previously Sovereign Bank) most recently in the role of District Executive, VP. Danielle currently serves as President for the board of the YWCA of Bethlehem and is on the Presidential Council for DeSales University. Her accomplishments include being voted one of Northampton Community College’s Alumni of the year, participating in the college’s Billboard Campaign and appearing on over 20 billboards across the Lehigh Valley as well as a local commercial. She was the Keynote Speaker at the Women in Business and Leadership Conference held in Bethlehem, Pennsylvania. She was also accomplished with the honor of being the Lehigh Valley Chamber of Commerce’s 2016 Young Athena. 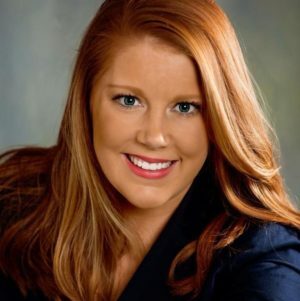 Danielle’s educational experiences include a Masters Degree in Business Administration from the University of Liverpool, Bachelors Degree from DeSales University and an Associates Degree from Northampton Community College. She is currently persuing her Series 10 FINRA Investment License, previously finishing the series 7, 66, 9. In her free time Danielle enjoys travelling both internationally and domestically, as well as spending time with her two Brittany Spaniel, Charlie and Frank. On the weekends, she can be found experiencing one of the beautiful Lehigh Valley Vineyards as she loves the views, relaxation time and cabernet sauvignon.